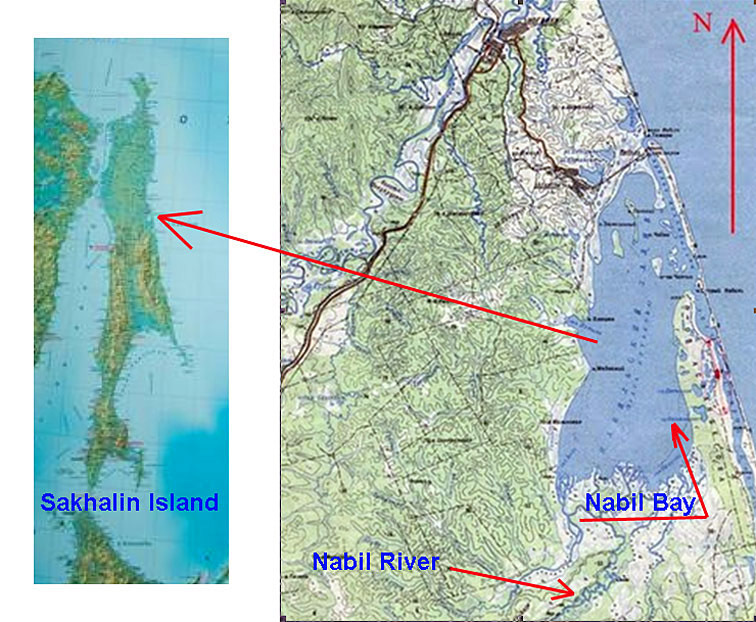 Nabilski Bay is located on the northeast coast of the Sakhalin Island. Several rivers drain into the bay, the largest of which is the Nabil River. This is a very productive shallow bay with mixed fish fauna - here live marine, brackish-water, and anadromous species. We started out float from the “lower” bridge. The distance from here to the sea is 60 km along the river. The river has many log jams.